Is it just coincidence that the paper wasp nest by the sliding doors out to that deck is empty? Hmmm. 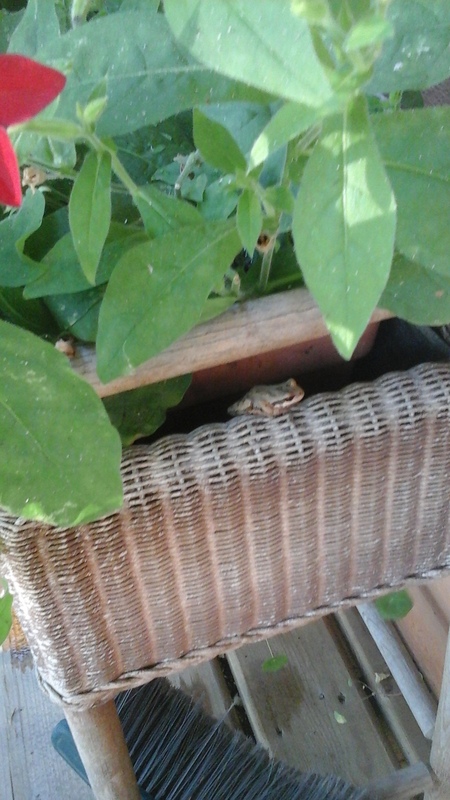 It’s hard to think of them in quite the same way now that I know, or at least suspect, they terrorize the paper wasps. 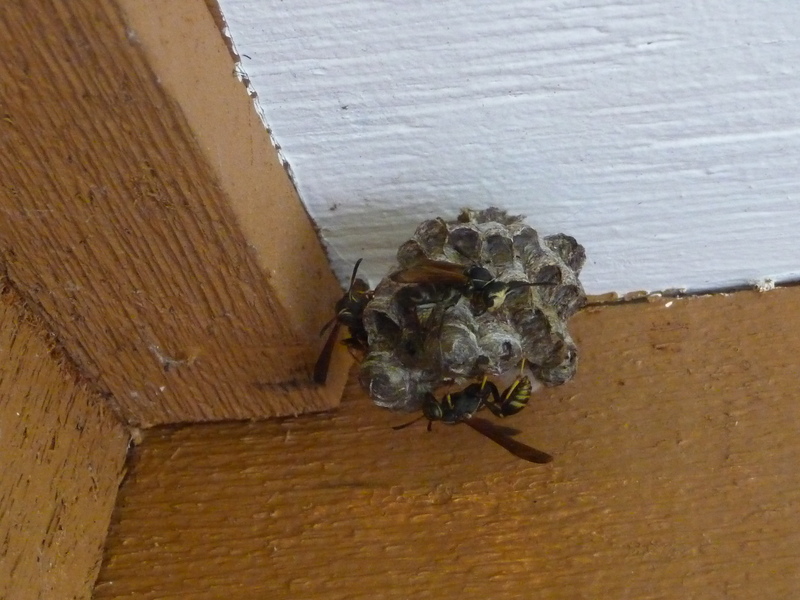 But then, wait, I’ve changed my mind about the paper wasps over the years. I’ve realized they’re not aggressive (though they can sting, if threatened), that they are good pollinators, and I’ve watched them clean my roses and other plants of aphids, scale insects, and other pests. They’re quite elegant, with their long legs and slim bodies. I’ve learned that they all have very distinctive faces and a highly-evolved ability to recognize the facial differences of each other. So the more you know about something, the more you are likely to appreciate its unique place in the ecosystem. The more you know about something — that my beloved little princes are not as benign as I’ve always thought? Exactly. ~ by theresakishkan on July 21, 2015. This entry was posted on July 21, 2015 at 8:28 pm and is filed under Uncategorized.You can follow any responses to this entry through the RSS 2.0 feed.You can leave a response, or trackback from your own site.